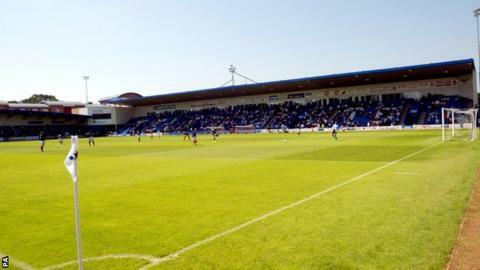 Promotion-chasing AFC Telford United will go into the Easter weekend in second place in Conference North after once again being knocked off the top of the table by North Ferriby United. Telford returned to the top on Saturday when they won, thanks to Andy Farrell's penalty, at Colwyn Bay and North Ferriby only drew 1-1 at Altrincham. But the Humberside outfit won 3-2 on Wednesday night to go back above them. Losing 2-1 with 20 minutes to go at Stalybridge, the Villagers hit back. Both sides now face two games in little over 48 hours over the Easter weekend. North Ferriby, who lead only on goal difference, host eighth-placed Harrogate before heading to play-off-chasing Boston, in sixth, on Monday. Telford are at home to struggling Gloucester City on Saturday before going to ninth-placed Solihull Moors on Monday. On the final day of the season, Telford then host another lowly team Gainsborough Trinity, while North Ferriby are at home to Brackley - currently in seventh position.